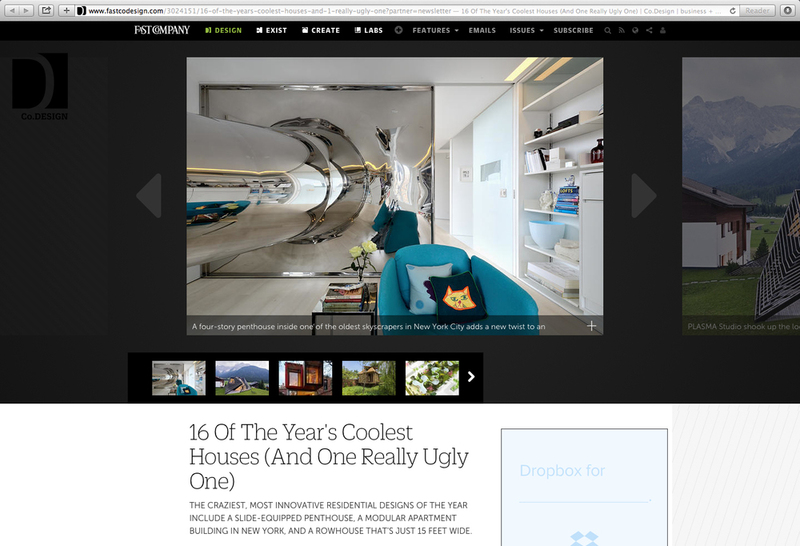 December 23, 2013….. SkyHouse was featured as the lead on Fast Company's selection of "sixteen of the year's coolest houses"…..see their selections here. November 25-29, 2013…… The French architecture and design site AA13 featured a full week of postings on SkyHouse, with separate features focused on the entry/stairwell on Monday, the glass bridge on Tuesday, the living room on Wednesday, the north bedroom on Thursday, and the slide on Friday. David Hotson featured in Spring 2014 lecture series at City College…..